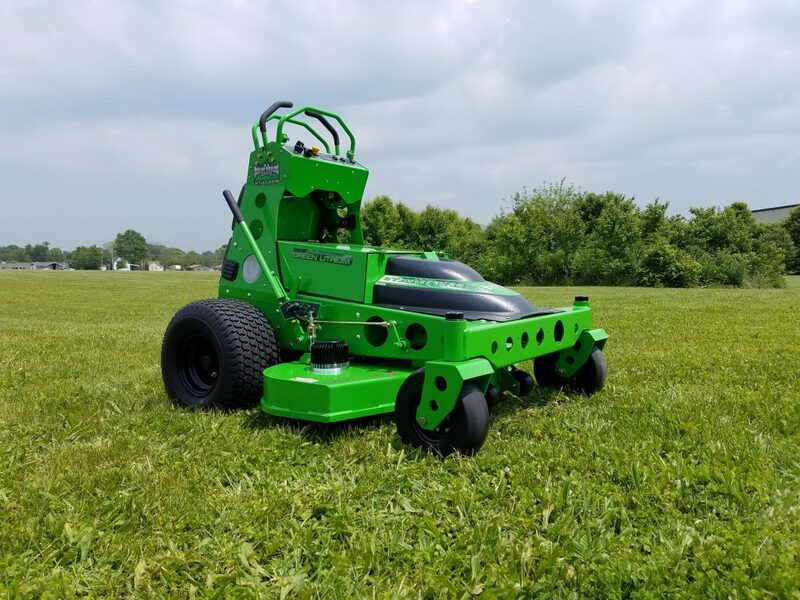 The STALKER is a very agile stand-on mower with a 48 inch deck for those tight spots around parks, gardens or road meridians. Its low centre of gravity provides great mobility on slopes. Powerful motors and controllers are borrowed from the big-brother CXR series and the aluminium and steel chassis means the machine is ready for full-day operation in all commercial applications. Mean Green’s batteries, or Lithium Energy Modules (LEM), last a very long time. They achieve around 8,000 hours of peak performance and then will gradually decrease in capacity over time. Options provide four hours of operation on one battery, or 7 hours with two. At 76 db, you would be pressed to hear the machine operating at a distance of 10 meters. Why punish yourself in the pocket, breathe carcinogenic fumes or put your ears at risk by continuing to use diesel or petrol machines? You’ll save up to 88% on fuel and maintenace (no pullies, belts or gearboxes common to diesel mowers) and have no fumes or excessive operating noise to worry about. Blowers are also horrific in terms of fuel use, fumes and noise – the remote controlled blower option utilising “Quiet Turbine Technology” (QTT) allows the operator to remain on the machine and quickly clean up paths with finger-tipped control. Look after your back and lungs. The optional, rear-discharge “Chaos” mulching deck provides peace-of-mind operation in sensitive locations. You also have a mobile store of electricity available at your fingertips – an optional cable connected to an inverter will keep the lights on for a couple of days. Expect to pay around $29,500 plus GST for the top-spec version with 7-hours of continuous run time. (And don’t forget to subtract three year’s fuel and maintenance savings of around $30,000 so you can compare apples with apples).